Flaming Dr. Pepper shots and other such “cocktails” fizzled in popularity after the flair-bartending trend of the late ’80s gave way to our current obsession with more serious classic cocktails and artisan ice. 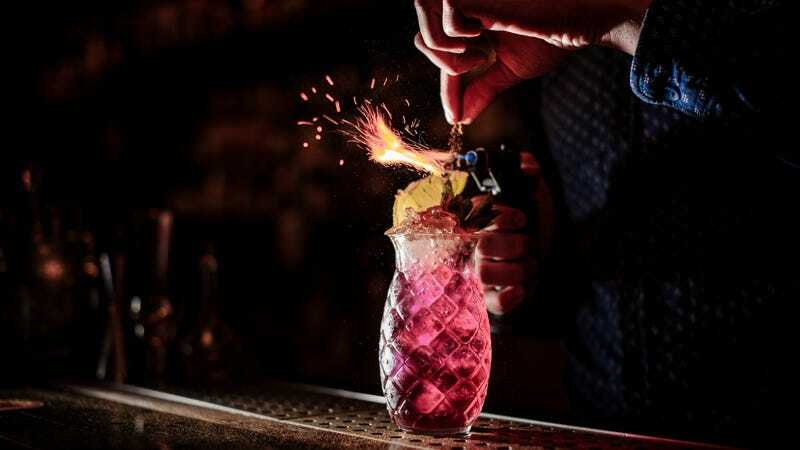 But the recent tiki resurgence has reintroduced the novelty of torched cocktail garnishes, such as the one that injured the two Hell’s Kitchen patrons. I’m not going to tell you not to order a flaming punch bowl or a drink garnished with torched citrus, because hey, those are fun sometimes—but please make sure to keep arms, legs, hair, and clothing away from flaming liquids. And if you can’t operate a fire extinguisher, may I suggest a frozen cocktail instead?